Damar Charter Academy is a groundbreaking charter school designed for children with special learning needs. Serving children in grades kindergarten through 12, Damar Charter Academy is Indiana’s first public charter school providing intensive, individualized educational programs and behavioral-support services to students with autism and other intellectual and developmental challenges. Damar Charter Academy is sponsored by the Mayor of Indianapolis’ Office of Education Innovation to promote high educational standards and the full academic, behavioral, social, independent-living and vocational potential of its students. It is structured to meet the criteria for excellence identified by the mayor’s office, and it adheres to the standards established for public schools in the state of Indiana. 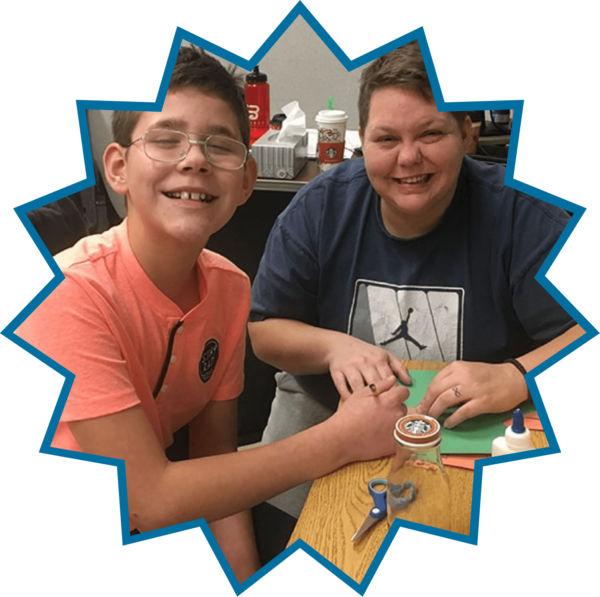 Through its innovative programs and uniquely qualified teachers and staff, Damar Charter Academy offers parents a much needed, free educational choice for their children with special needs. The school opened in August 2011 to serve a maximum of 195 students in grades K-12. Damar Charter Academy prepares students with developmental, intellectual – and behavioral challenges for a lifetime of learning. Damar Charter Academy gives students with autism and other developmental and intellectual challenges the chance to achieve their highest academic potential and develop the behavioral, communication and daily-living skills that allow them to live successfully in the community. Relying on established practices and research-informed teaching, Damar Charter Academy tailors educational and support strategies to each student as developed and reflected in an Individual Education Plan (IEP). Established as a collaboration between Damar Services, Inc. and the City of Indianapolis’ Office of Education Innovation, the school’s charter was formally approved by the City-County Council on Feb. 28, 2011. Every child, regardless of his or her ability, deserves the opportunity to experience learning and the feeling of success. Each child’s progress is evaluated by measuring his or her educational & social growth through data, assessments, staff and parental observations. Parental insight and involvement are essential components of student learning and success. The teacher-student relationship should be positive and uplifting. Welcome to the school created with your child in mind. Built on Damar Services’ half-century of experience serving the needs of children and youth living with autism and other developmental, intellectual and behavioral challenges, Damar Charter Academy provides the learning environment where all children succeed.